Ireland is one of the countries in Europe that utilise the SEPA system. Consequently, it is possible for the traders in the country to easily fund their account in some Bitcoin networks with euro. According to a statement attributed to the Central Bank of Ireland, Bitcoin is not controlled or regulated by the country’s apex bank. The taxpayers have the trust of the Revenue that they will do an accurate assessment of their assets, incomes and profit generated from digital coins and put them into the government goffers the right amount of money they are supposed to pay as tax. 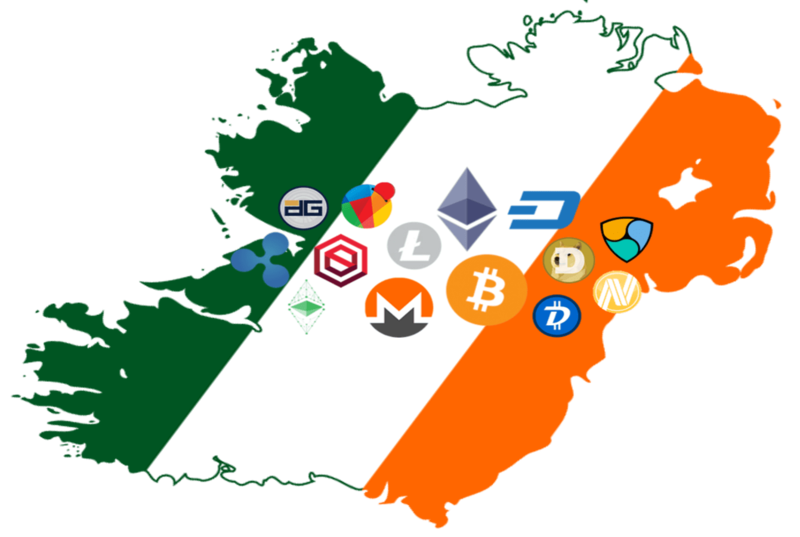 In Ireland, cryptocoin’s investment and stock or currency investment are put on the same pedestal. If you are generating revenue by trading on virtual money, you’re required to make it known to the Revenue for the purposes of taxation on capital gains. In 2009, Satoshi Nakamoto, a pseudo name for an unknown person, developed Bitcoin as a type of virtual money controlled by no central bank or any middlemen except the owners themselves. It is the largest digital cryptocoins in terms of market cap, popularity and other aspects. Given that its generation is regulated by a type of algorithm, it is available in limited control. It has a wider acceptability and can be used to carry out a lot of transactions including paying for purchases in some marketplace, making room reservations on Expedia and a whole lot of others. One good feature of this currency is that identities of users are not known. Ethereum is second to Bitcoin in various aspects. It works in a similar manner but with little differences. Unlike BTC, it is much more than a cryptocoin. Its blockchain based virtual coin called Ether powers the network’s smart contract applications utilised to facilitate and negotiate contracts without going through a central body for verification and enforcement. The decentralization of the process ensures security, eliminates censorship and protects against fraud. ETH is kept safe in any exchange and wallet. Typical examples of common Ethereum wallets are Ledger Nano S, Trezor, KeepKey, Exodus, and many more. Ripple XRP is a P2P digital coin with limits on how much units that can be generated. Based on mathematical formula and like every other crypto token, there is no third party that controls the movement of the virtual money from one account to another. Thus, it ensures anonymity and security against the production of fake coins. Ripple protocol is built by OpenCoin, a company founded by two experienced digital coin professionals, namely, Chris Larsen and Jed McCaleb. Currently, it has a market capitalization of $34.21B and no law restrict its usage in Ireland. Lumens normally represented with XLM is a cryptocurreny generated and kept on Stellar network’s ledger. Previously known as the native asset, they are intangible valuable items built into the network. Though it is virtual and cannot be handled like cash, it makes a significant contribution in the movement of money across the globe. With it, forex transactions can safely and quickly be carried out. Currently, it has a market capitalization of $6,893,195,459. Like other kinds of altcoins, its usage is not controlled or considered illegal in Ireland. With a market capitalization of $4.180,535,662, Dash is one of the well-known P2P virtual money mined as a solution to the problem of anonymous and private transactions associated with BTC. Developed on the core code of Bitcoins, it shares features with this largest crypto coin except that it offers quick transactions and also ensures privacy in any transaction. Contracting deals with it does not attract high charges as it is the case with BTC. Established by Evan Duffield on 18 January 2014, it operates with a different community and unique wallet infrastructure and blockchain. It is legal to trade on this digital token in Ireland even though the banks are still monitoring them. Zcash is a 2016 improvement on the initial Zerocash which evolved from Zerocoin. It is one of the anonymous cryptocurrencies introduced to make up for the imperfection of BTC when it comes to anonymity and confidentiality of the parties involved and amount transacted. The network referred to as zk-snark is secured with a special proof. The currency is still new in the market and yet it has a market cap of $1,141,358,445. It is not outlawed in Ireland at the moment. Bcash was developed in 2017 as a result of disagreement between Bitcoin managers on the size of the parent BTC blockchain. It has all the features of Bitcoins except it comes with a replay and wipeout protection; a large block size of 8 MB; no “replace by fee feature”; no segwit; and a quicker means of modifying the “the proof-of-work difficulty” encountered with the parent BTC. Cryptocurrency investors in Ireland can go into BCC investment as there is no law banning it in the country. Though, it is still new, it has a market capitalization of $25,925,206,185. Bitcoin Gold is the newest offspring of Bitcoin created to make up for the imperfection such as too much concentration of mining market which the developers spotted in the original BTC. BTG is not considered to be a different kind of digital currency but rather a type of Bitcoin. But established to bring about a mining algorithm that has a much reduced vulnerability to ASIC-based optimization. In this way, as thought by the developers, the mining companies will be dethroned. It is legal to invest in this digital currency in Ireland. Fresh in the market, BTG has reached a market cap of $1,505,450,824. There is more than one way of purchasing virtual money in Ireland. You can buy coins through brokers that deal on digital currencies. But if you’re a forex trader, getting them directly from an exchange such as CEX.IO may be an option for you. Alternatively, you can also register with a peer-to-peer network such as Localbitcoins to get cryptos from users willing to sell theirs. In Ireland, there are ATMs for trading crypto tokens. You can also use them to obtain Bitcoins. 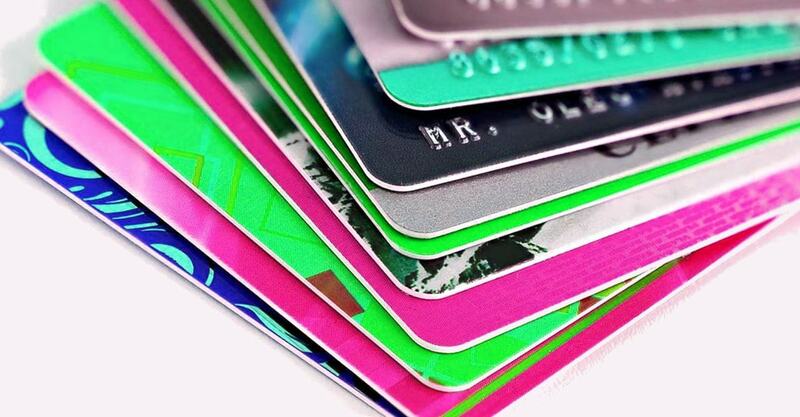 You will be able to purchase cryptocurrencies with plastic cards but how easy the transaction will be is dependent on the type of cards you have. It can be much easier for holders of credit cards to pay for digital coins via an exchange. However, what determines how successful you will be is the type of virtual money you are investing in. Paying for BTC with credit cards is available in most exchanges thanks to its popularity. The same thing may be said of Ether. If you want other altcoins, you may have to first obtain BTC (or ETH if it is available) and then trade it with your desired token. Purchasing Bitcoin with a debit card involves a much complex process as you may have to do the transaction via a third party like Western Union. This entails you first go to a Western Union office in your location, pay for a transfer and have the money sent to a virtual cash service provider such as Coinmama. Digital money platforms may even have a securer and solidly encrypted payment system. Bear in mind that credit card payment reduces the anonymity associated with digital coin deals because you will provide some of your account details for the transactions to go through. Various e-Wallets that can be used for virtual money purchases include PayPal, Neteller, Skrill and others. These methods are secure and quick. Besides, you will not divulge your account information or credit card details. But scammers have taken advantage of chargeback policies of most e-Wallet companies like PayPal. Another issue with these methods is that, you can’t use them to purchase a good number of digital tokens directly. You may first buy BTC or ETH and then swap them for your preferred coin. One of the commonest ways of paying for Bitcoin in Ireland is SEPA. The option is available in a lot of platforms. The process is as simple as providing details of an account that is compatible with SEPA system. You can start trading with it once the process is successfully completed. The problem with this method is that it has a longer transaction time and the minimum amount that you can pay with it is normally higher. It may be an expensive option for smaller transaction. But it appears to be the cheapest if the amount involved is big. It is also secure and safe. For some coins that are not popular, they may be purchased indirectly via this method. This may require that you purchase BTC or any other popular token that has the desired pair and then exchange it with the virtual money you want. Altcoins as well as Bitcoins are now traded in the exchange market. There are many networks where you can deal on that. The first step is to choose a platform to register with, then complete your registration on the site. Fund your account with your Bitcoin or Ether. But if you have not got any, purchase the amount you want. Check the altcoins that have BTC or ETH pairs; for example, ETH/XLM, BTC/XLM and others. Place your order and wait for it to be finalized. Exchanges charge their customers for each transaction completed via their network. Each platform has its unique fees as there is no central control body. Some exchange may restrict clients to certain amount that they can’t exceed or go below it as per transaction, day, week or month as the case may be. When you have obtained some altcoins, you can transfer them to your wallet which may attract some charges. But you can continue to trade on the exchange to get more coins. However, you should endeavor to learn how to speculate the currency trend. A third way of keeping your coins is to store them on storages.